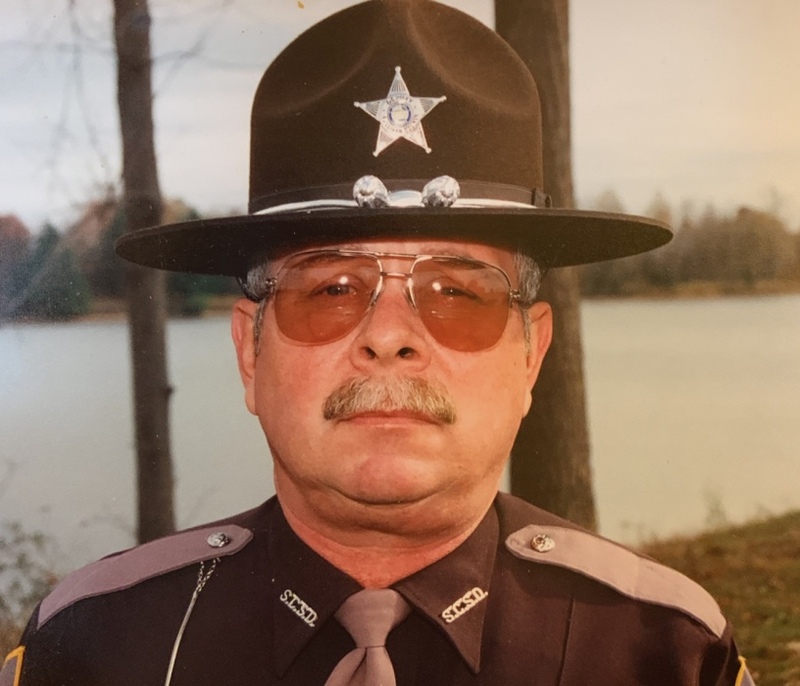 James "Jamie" D. Goodwin, age 71, of Sullivan, passed away peacefully at 3:00 P.M. on Sunday, April 7, 2019, at Breckenridge Health & Rehab in Sullivan. He was born in Terre Haute on April 28, 1947, the son of John & Jean (Cox) Goodwin. He was a 1965 graduate of Wiley High School in Terre Haute and attended college at Indiana State University. He worked at Universal Mine Peabody Coal Company north of Terre Haute for twenty-three years. He retired from the Sullivan County Sheriff's Department as a Sheriff's Deputy. He enjoyed his time at the Sheriff's department and working with his drug dog, Samson. He was a member of the Dugger Masonic Lodge #721, and a former member of the Scottish Rite and Zorah Shrine, both of Terre Haute. He is survived by his son, Mike (Jackie) Goodwin of Linton, two grandchildren, Peyton & Jakob Goodwin, both of Linton, a brother, Joe Goodwin of Dugger, and his former spouse, Vikki Huntworth of Terre Haute. He was preceded in death by his parents and his dog, Samson. Visitation will be held at Welch & Cornett Funeral Home in Linton on Thursday, April 11, 2019, from 4:00 P.M. until the time of Masonic Service at 7:00 P.M., followed by a funeral service at 7:30 P.M. with James Stone officiating. Burial graveside service will be held on Friday, April 12 at 10:00 A.M. at Dugger Cemetery.